It’s that time of the year again and WLBB is ready for the pre-season news to pour in at any minute. –Commercials usually hit the airwaves first giving us a brief idea of the season’s “twist.” Some generic commercials have already started, but look for the “good ones” to start any time, potentially this coming week or the following. –House pictures have historically been released first by TV Guide (recently via its Web site). Rumors, like a potential “retro-styled house” have already started to spread, but look for the official proof to come out possibly during the first or second week of July. –Houseguest bios usually surface not too long after the house pictures, so the two should have similar release dates. –The season premiere is scheduled for Sunday, July 13. –Interviewing the BIG players: During the pre-season, WLBB often interviews the show’s important players (ie. 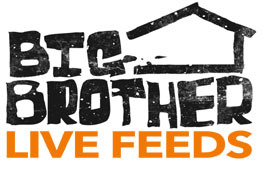 show producers, casting director, houseguests, etc.) getting you the news first hand. –Bookmark WLBB: If you’ve been with us before, when a little news leaks, it all seems to flood in quickly. Check our site several times a day and make sure you don’t miss a thing. –Join the eNewsletter: When pre-season news breaks, it goes straight to your email. Sign up for this free feature and never miss a moment of the fun! –Get WLBB Headlines 2 Go: Our newest feature, this year WLBB will provide you the option to receive a text message immediately whenever we add news. To sign up for cell phone text alerts, simply send a text to 40404 with the message “follow wlbb” and follow the instructions that will be sent to you. For more advanced options, sign up online. –Make your voice heard: Tell us what you think! Do you like the new houseguests? Do you think this year’s twist is crazy? Each news article allows you to leave a comment. Also, be sure to stop by our forum and join hundreds of fans just like you! I think this will be a great season! Brian and I are prepared to make sure you get all the pre-season news as soon as it breaks!